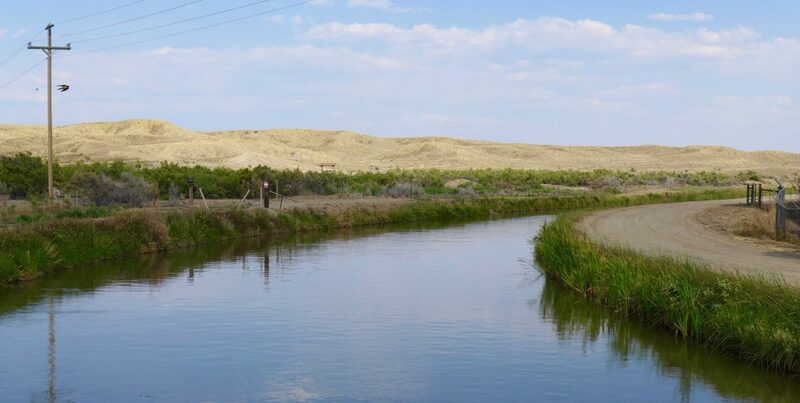 The Government Highline Canal is managed by the Grand Valley Water Users Association, and serves as a major source of irrigation water in the Grand Valley. Becky Mitchell, executive director of the Colorado Water Conservation Board, and Kevin Rein, state hydraulic engineer for Colorado, both of whom took their current positions in July, introduced themselves to the river district board, which includes representatives of 15 Western Slope counties. Mitchell said it was important for the state to develop a long-term source of funding for new water projects in both the Denver metro area and the Western Slope, but she said the various river-basin plans in the state needed to be prioritized before a funding question is put to voters. Created by the state Legislature in 2002 to inform citizens about water, the organization is changing its name to Water Education Colorado, and its new logo is based on the layout of the state’s eight river basins. The logo for Water Education Colorado seeks to convey a conversation about the eight river basins in Colorado as defined by the state’s basin roundtables, which are represented in the logo in clockwise fashion, and include, from the top left, the Yampa/White, North Platte, South Platte, Arkansas, Rio Grande, Gunnison, Southwest/San Juan/Dolores, and Colorado basins. Andrew Mueller, who starts as new general manager of the river district on Dec. 1, was also at the meeting. An attorney at a law firm in Glenwood Springs, Mueller once lived in Ouray and represented Ouray County on the Colorado River District’s board from 2006-2015. He was hired in September upon unanimous consent by the river district’s board. Kuhn has a deep understanding of Colorado River issues, and he and John Carron, an engineer with Hydros Consulting Inc., presented to the board the latest findings of an ongoing “risk study” focusing on ways to keep enough water in Lake Powell in the face of another sharp drought. 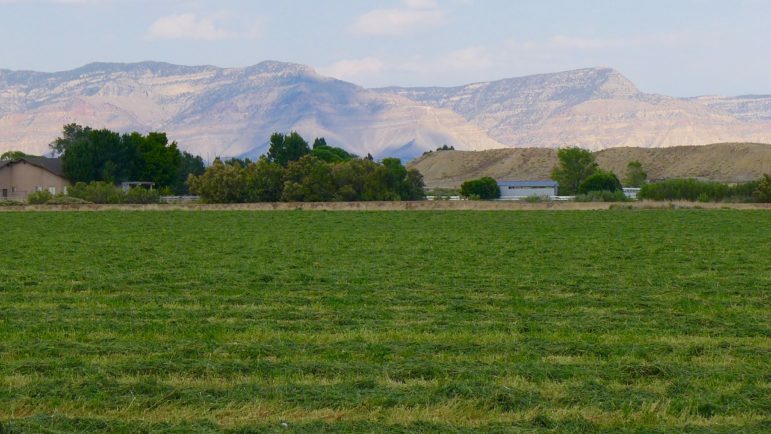 In 2017, the association compensated 10 large irrigators, whose names have not been disclosed, to fallow a total of 1,252 acres of irrigated land on parcels ranging from 60 acres to 240 acres. 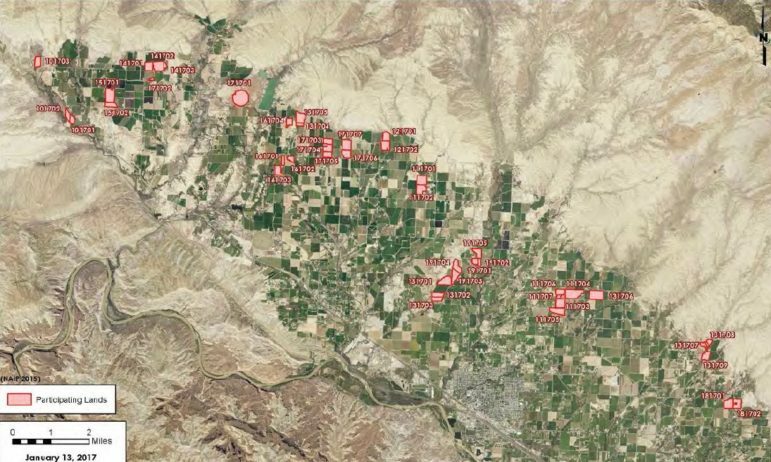 A map showing, in red, the participants in the Grand Valley Water User’s Association program in 2017 to conserve consumptive use in the Grand Valley near Grand Junction. An irrigated hayfield in the Grand Valley irrigated by the Government Highline Canal. Summer, 2017. Major funding sources for the program included The Nature Conservancy, the state of Colorado, and Denver Water. The association intends to run the program again in 2018. Harris said the association continues to learn about how such a fallowing program in the Grand Valley might work in the face of a drought or other challenge to complying with the Colorado River compact, which requires Colorado and other states in the upper Colorado River basin to provide a set amount of water to California, Arizona, and Nevada, even in dry years. Editor’s note: Aspen Journalism is collaborating with the Glenwood Springs Post Independent, The Aspen Times, the Vail Daily and the Summit Daily News on the coverage or rivers and water.